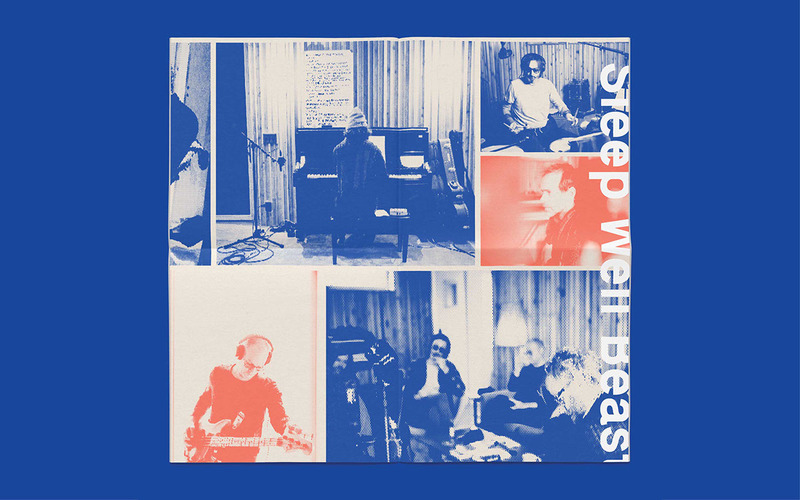 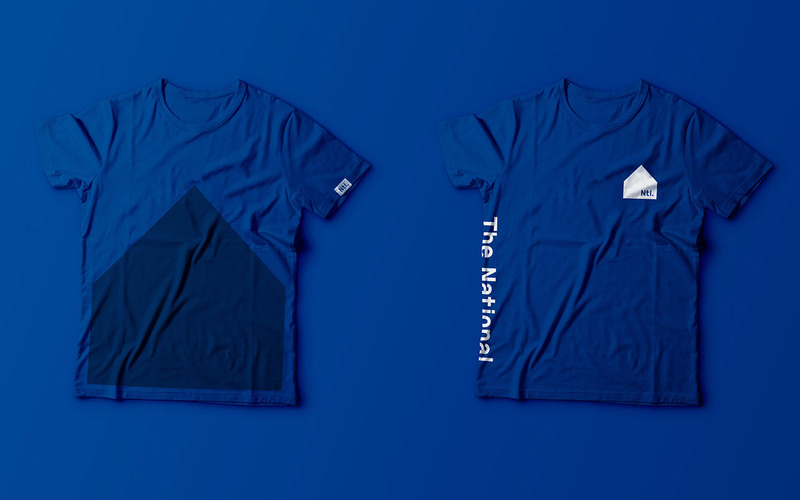 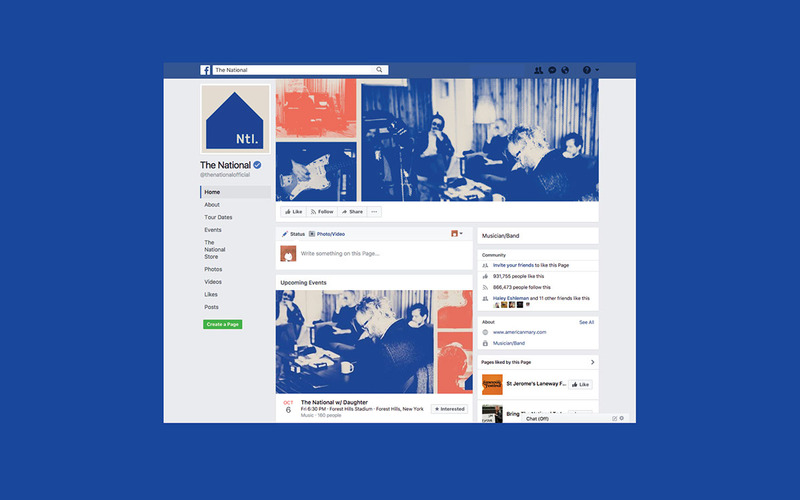 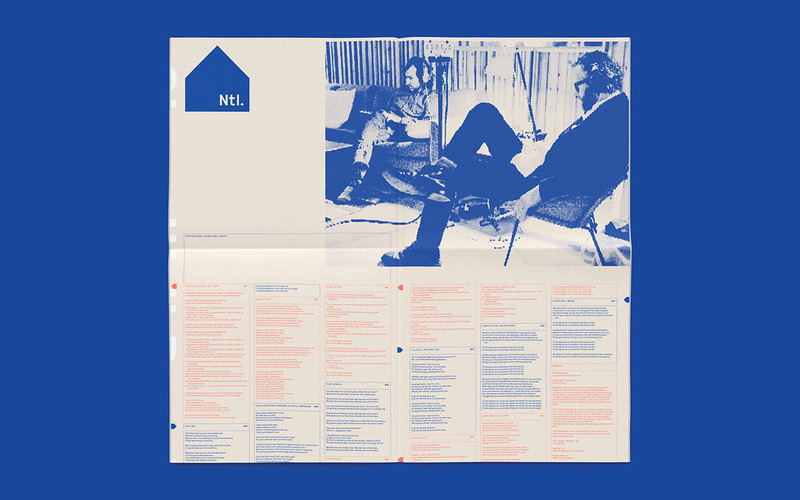 The National are one of the world’s biggest indie bands, an incongruous status they poke fun at with the design for their seventh album, “Sleep Well Beast,” released on 4AD Records in September 2017. 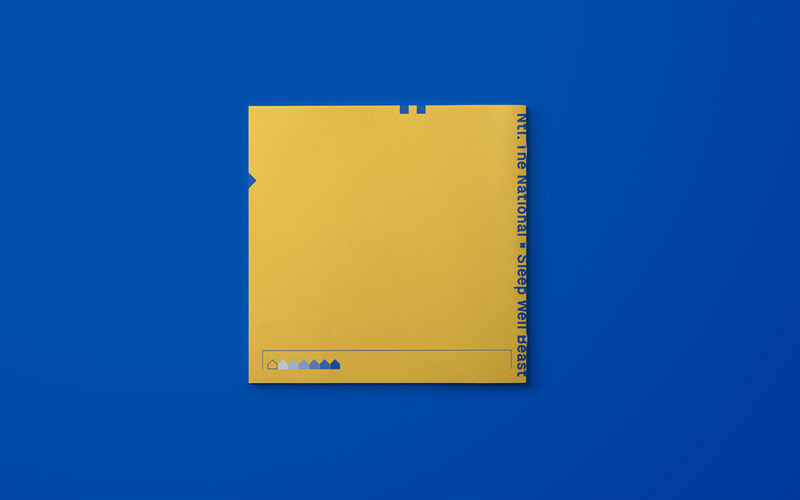 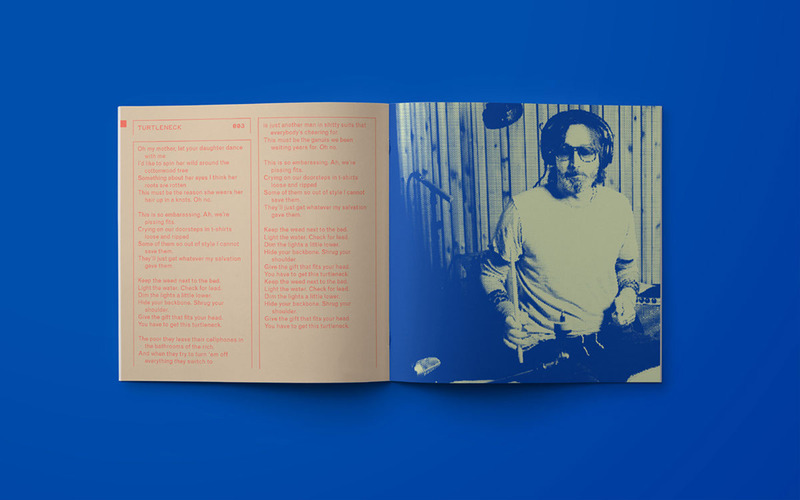 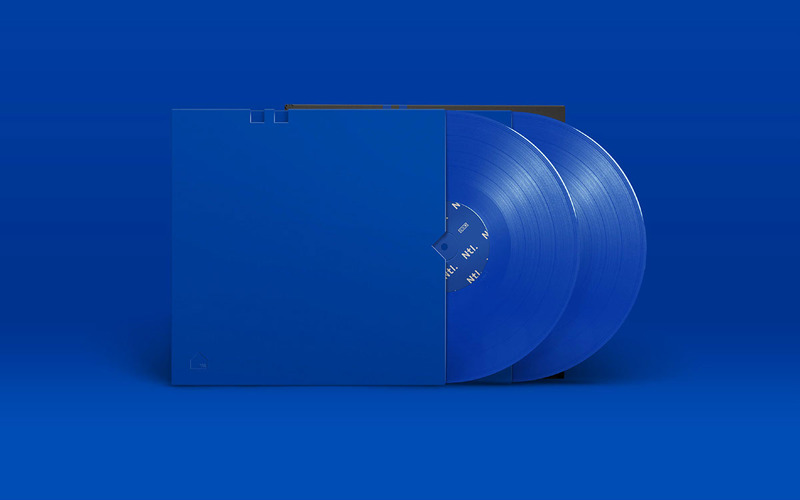 Pentagram collaborated with the band to create a visual language for the album that riffs on corporate branding, encompassing everything from the design of the record cover and promotional materials to graphic guidelines for the entire program. 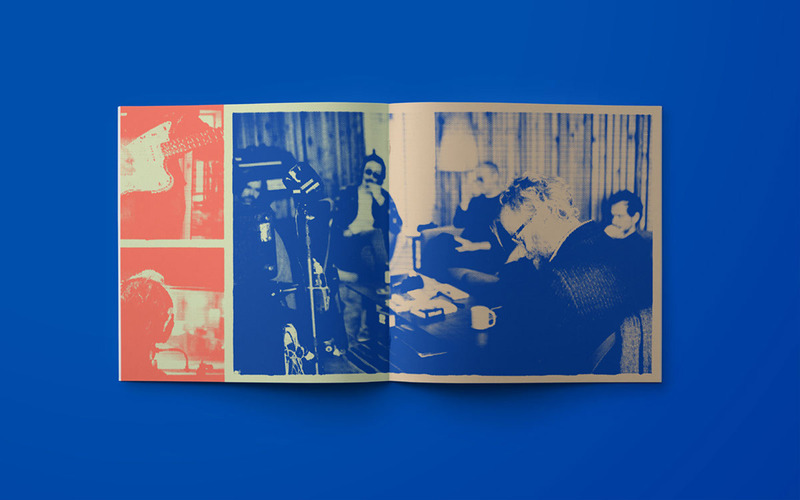 Two members of the band have backgrounds as graphic designers, including Scott Devendorf, the bass guitarist, who worked at Pentagram’s New York office in the late 1990s and early 2000s. 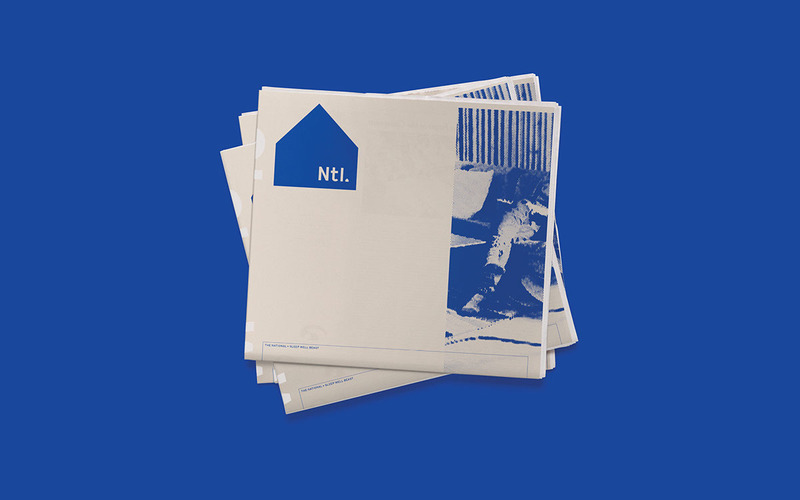 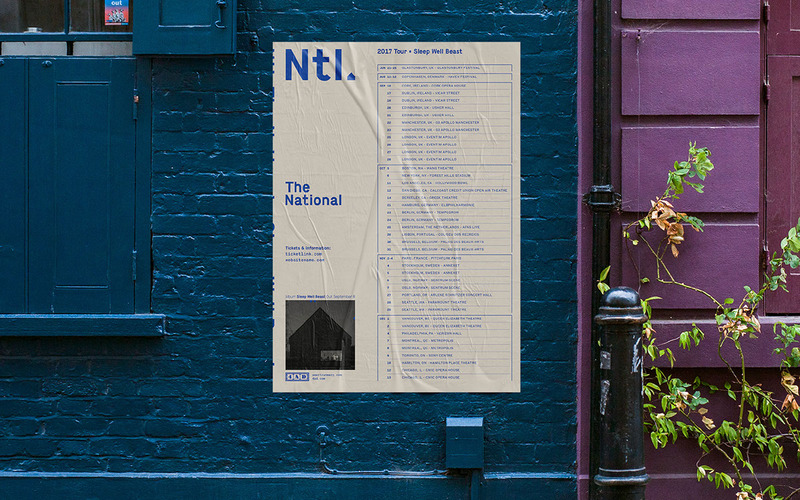 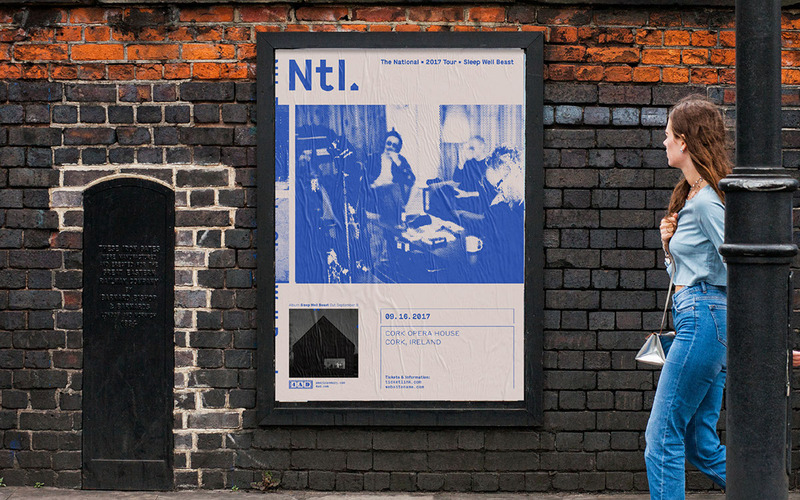 The National were amused by the appearance of hiring a large branding agency to do their campaign, finding a bit of punk irony in the idea of an indie band having a full-on corporate identity, even going so far as to produce a corporate standards manual. 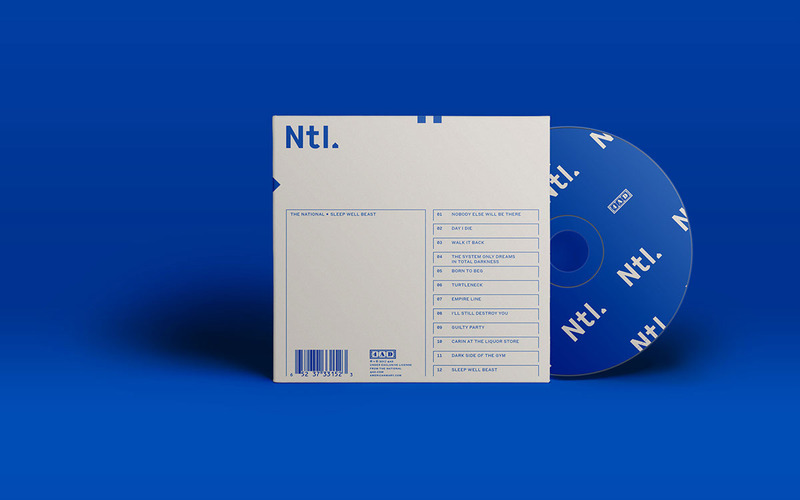 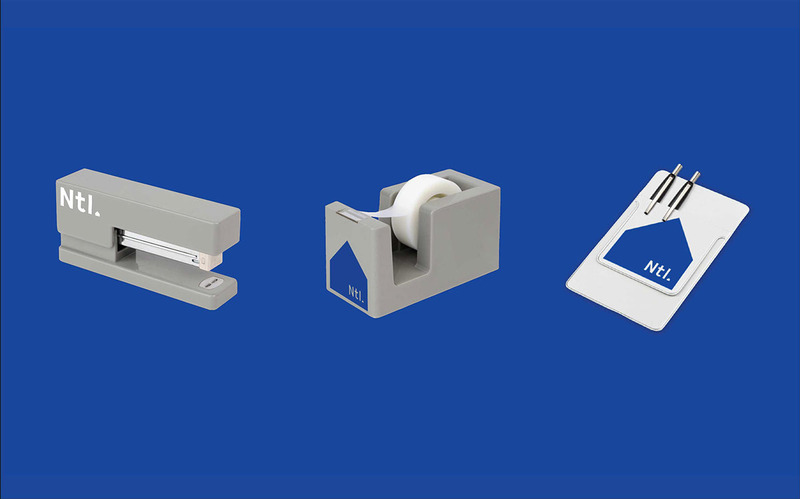 The band’s name is shortened to a corporate “Ntl.” logotype, set in the industrial Maison, that is used to brand merchandise, which in addition to the usual band merch includes (ridiculous) corporate supplies like staplers and tape. 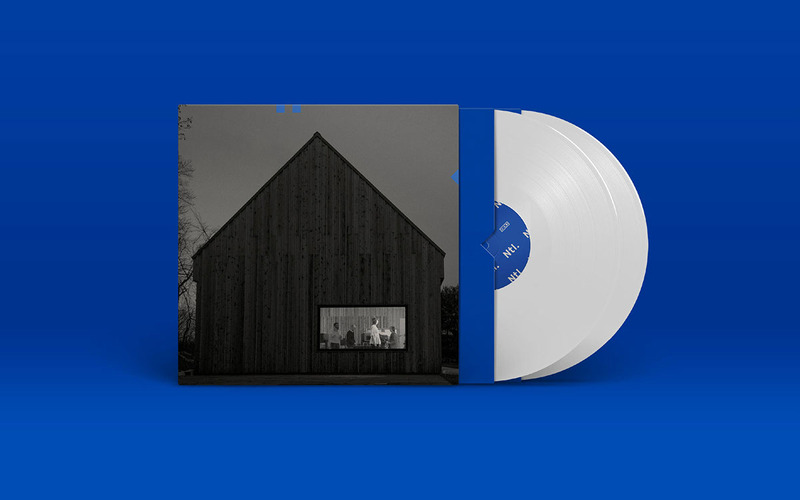 The album was recorded in a barn/studio the band built in Hudson, New York, which is pictured on the cover in a black-and-white photograph by Graham MacIndoe. 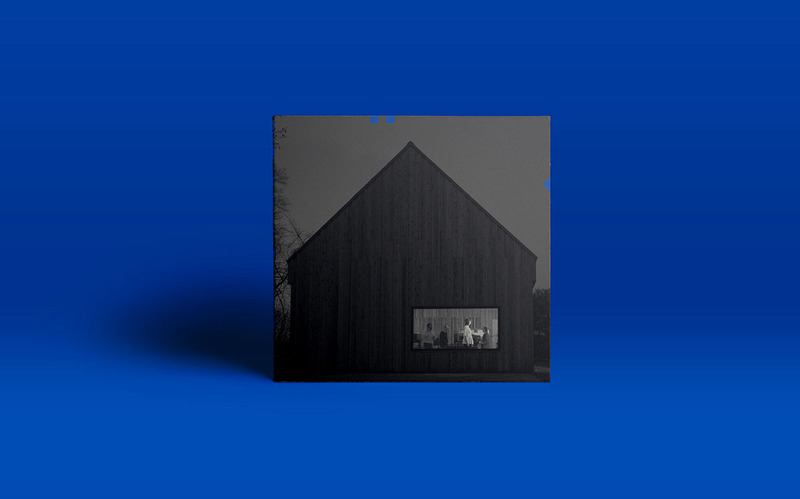 This inspired a house-like symbol that is broken down into pieces (two squares and a triangle) that are rearranged like code and die-cut in the album cover. 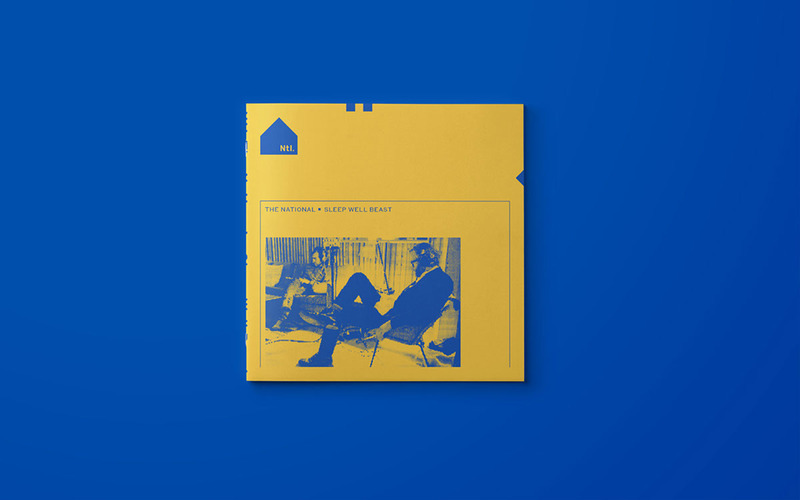 The album and CD insert use photographs by MacIndoe that were processed to give a zine-like feel to add a bit of warmth and soul into the visual language. 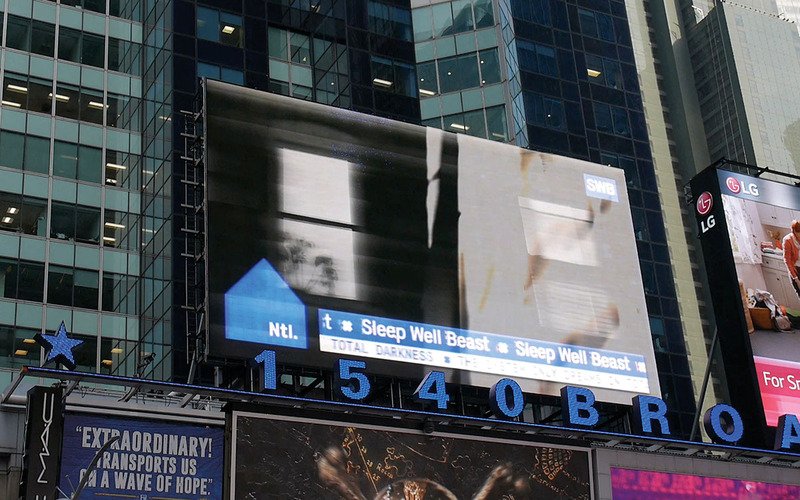 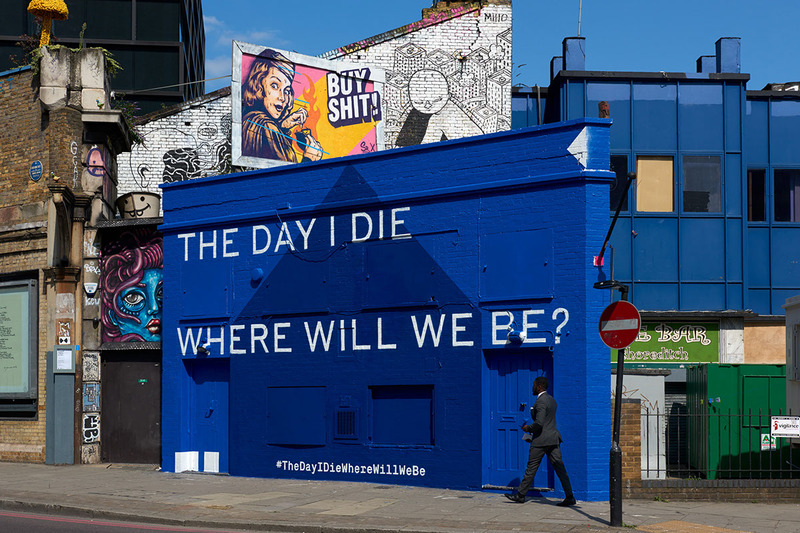 The campaign included transmission-like videos by the artist Casey Reas that were played on monitors in high-traffic areas in New York (Times Square), London and Copenhagen. 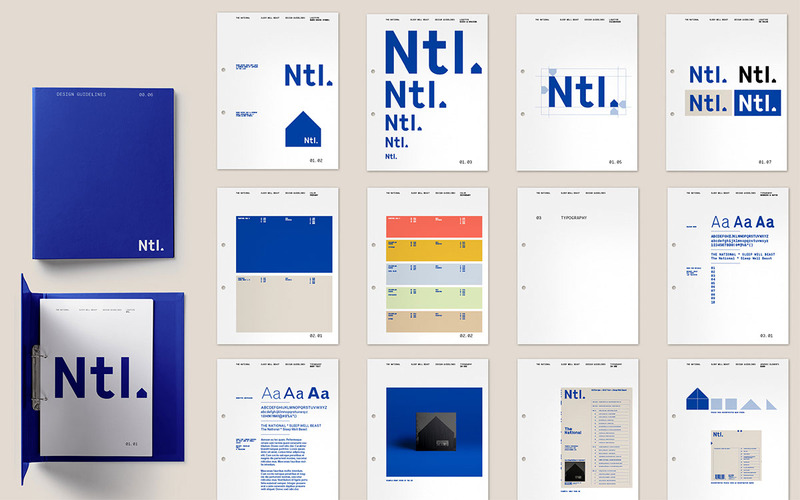 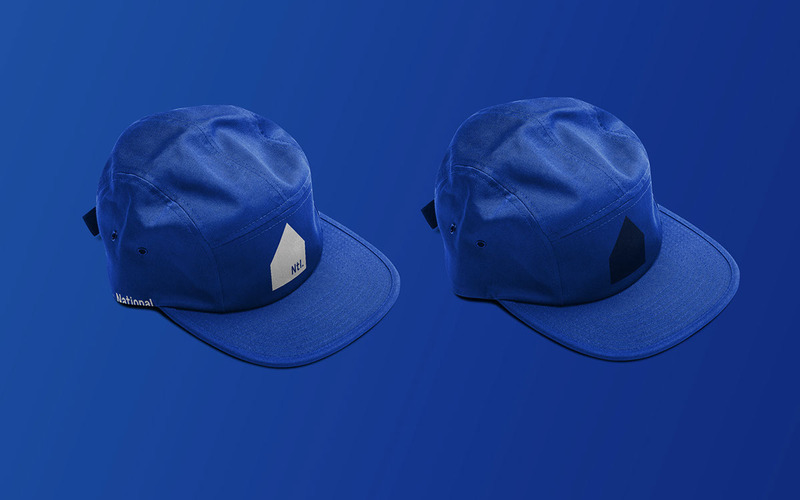 A new website was designed by The Collected Works.